I love having igado for any meal. I request for either this or bopis from my Nanay whenever I visit her when I was still working and living in Manila. I have never taken particular attention to how it is cooked (indeed, it's ready there when I arrive! 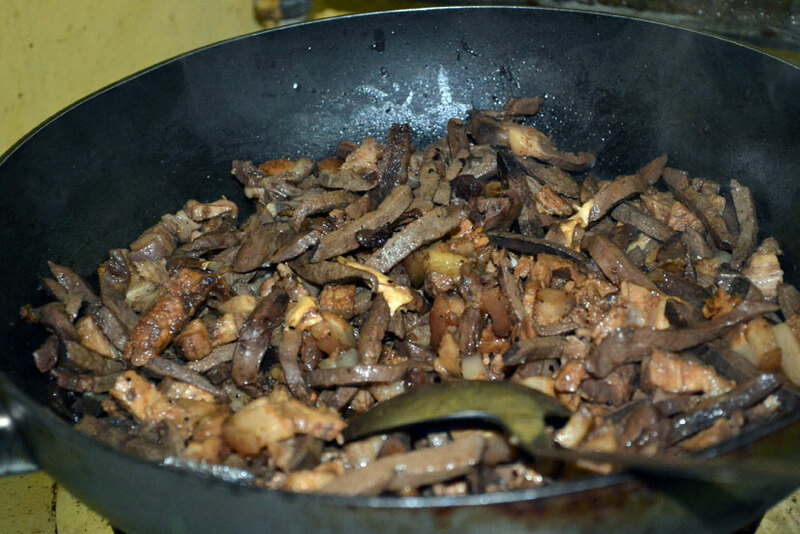 ), so when my elder sister said we will be having igado for lunch, I simply could not let the opportunity pass to learn how to cook this tasty Ilocano dish. Boil the pig's heart, liver, and liempo over medium heat for about 5 minutes. 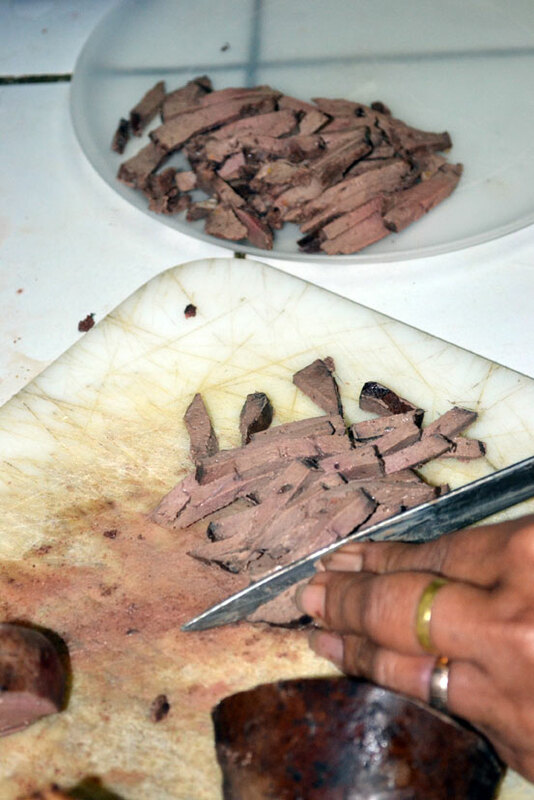 Let cool, then cut into strips. Boiling makes it easier to cut. Reserve some of the stock for later use. Heat up a couple of tablespoons cooking oil, then saute the garlic and onion. 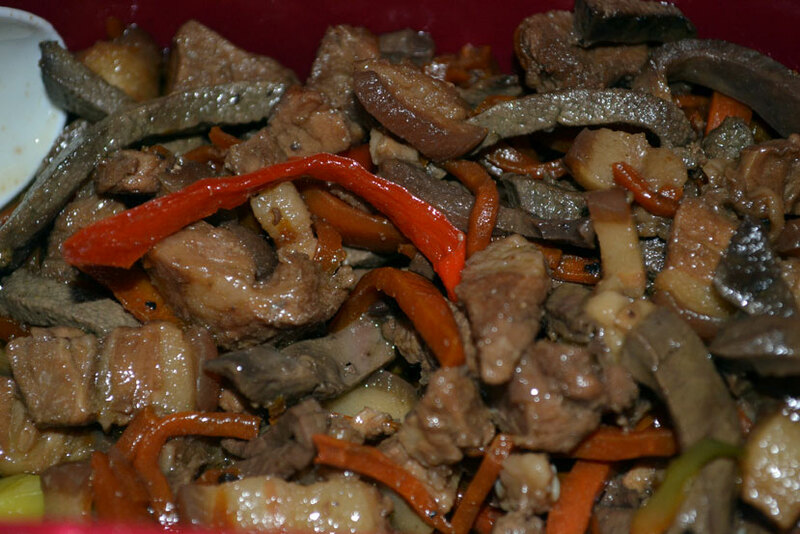 Add the sliced pork liempo and stir fry until the fat starts getting released. Add the sliced heart and liver and mix. Add soy sauce. 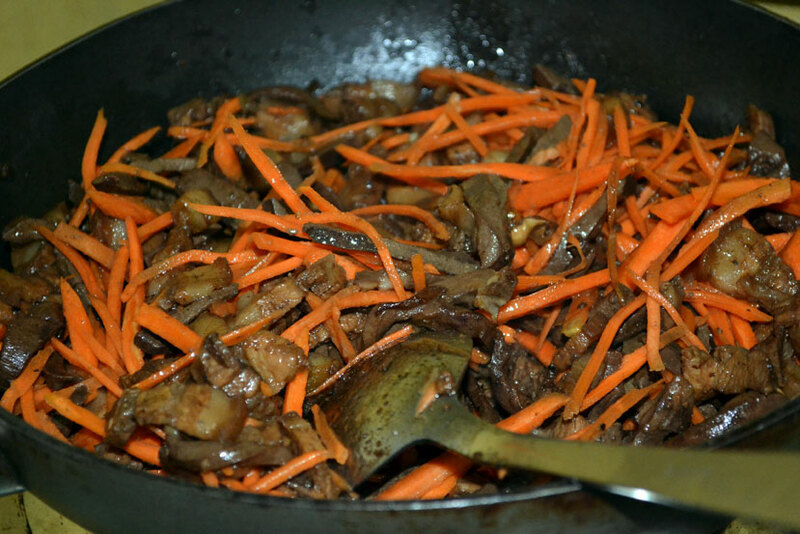 Cook until liver is cooked, mixing occasionally. Add the broth, just enough for the purpose of giving the dish some sauce. 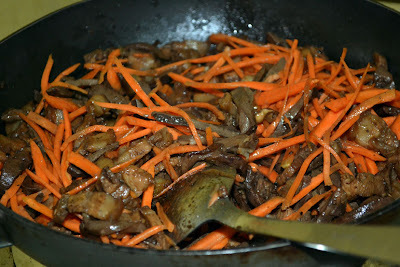 Add the carrots and mix; cook for a couple of minutes. 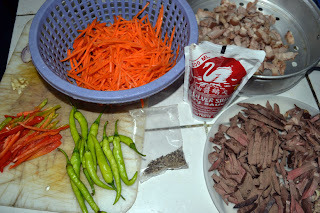 Then add the siling pangsigang and cook for a couple more minutes. Then add the bell pepper strips and cook for a minute longer. Finally, pour the vinegar and do not mix, just let the vinegary smell dissipate. Taste and adjust using salt and ground pepper. This dish is great served either warm or cool. 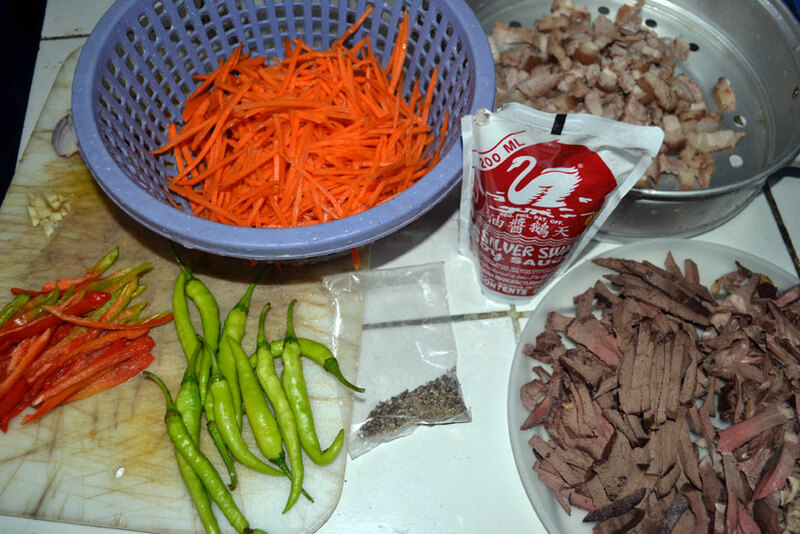 When cooled down, the sauce will thicken slightly, which is ideal.